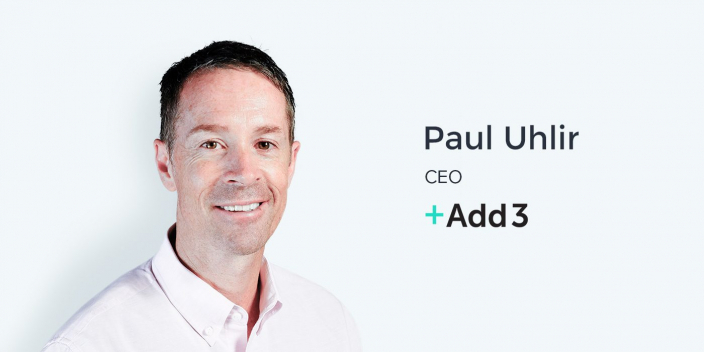 Paul Uhlir is a co-founder and the CEO of Add3, a digital marketing agency based in Seattle focused on driving conversions for clients in a number of different industries. Add3 offers an integrated, performance-based approach across multiple channels, including AdWords and SEM, Social Advertising, SEO, Amazon Marketing, and more. Prior to starting Add3, Paul worked in a number of other organizations including time in a sales role at an early search engine where he learned Digital Marketing. He also spent time working for an online dating company that was eventually sold to Match.com and founded Don’t Blink, an agency focused on the EdTech industry. The digital advertising industry is growing at an unprecedented rate. AdWords is still the most used platform and generates the most revenue. However, new advertising networks are beginning to take up larger portions of marketers digital advertising budgets. Even if the gap in dollars spent between AdWords and other networks is growing smaller, the increased adoption of digital advertising will continue to increase ad spend across all platforms. One of the reasons that AdWords continues to be the largest advertising networks and continues to generate positive ROI for advertisers is the intent focused nature of the platform. However, there are only so many people at any given moment that actively possess the intent necessary for an AdWords click to provide them with what they are looking for. The finite supply of active buyers at any given time creates the power behind AdWords while also showcasing one of it’s weaknesses. This is one of the reasons that Facebook has quickly become the second largest digital advertising network. There’s no denying the importance of creating a personalized experience contextual to the needs of your target users and personas. However, over-personalizing to the point of violating brand guidelines or making assumptions that deliver someone too deep into the funnel can backfire as a mistake. Personalization is almost always encouraged in your advertising and their subsequent post-click experiences. It is, however, important to make sure that there is enough context for a top-of-funnel target customer to understand the value proposition of the product you are selling. Ander: This is exciting. I just attended the Seattle Interactive Conference – and Add3 was one of the sponsors. because I’ve interviewed Paul Uhlir before, the CEO of Add3. It was a different time and a different place. A totally different universe of content – we talked about your rock-star background. But thank you so, so much for taking the time to sit down here on this relatively normal rainy Friday morning here in Seattle. Ander: It’s a pleasure to have you on again. Paul: Thanks for having me for round two. I’m happy to be here and you’re right – I don’t remember how long ago we spoke, but things have changed undoubtedly. Ander: Yes. A little while ago. Paul: Things are extremely different. Yep. Ander: Yeah, the marketing landscape has changed so much since then and we’re going to get into that. But I think that the best place to start is with you and Add3. So, what is Add3 and how did you end up in the position you’re in now? Paul: So Add3 is a digital marketing agency. What we do is focus very specifically on driving conversions for our clients. Ander: And how do you define ‘conversions’? Paul: That’s a good question. Conversions could be helping Amazon find drivers for their Flex program. It could be getting people to stay in hotel rooms for our large casino clients. It could be driving leads for online dating clients. And so a conversion is defined by the client but it is, in general, someone taking a desire to action that we can track and, of great importance, we have goals against the volume desire that the client wants and the cost that they want to pay for that. Maybe it’s their post-click landing pages, maybe it is the landscape that they just haven’t seen. And then we react fast and accordingly. Ander: And you guys have some pretty killer clients. Paul: We do! We do. We have a great list of clients, most, sort of, northwest-focused because we’re here – I was born and raised in Seattle – and then wonderful clients across the country. Nest comes to mind, the home thermostat product owned by Google. They’re down in California. Costco in Seattle, Amazon in Seattle, Personal Capital’s down in the Bay area… It’s a really long list that I’m very appreciative of – not only the ones I listed but the ones I didn’t list. Ander: And, how did you end up here? This was twenty years ago, probably. We started an agency called Don’t Blink and ended up selling that to one of our clients in the online education space. That industry, as most people know, sort of imploded about eight years ago. We dusted ourselves off and started Add3. Now, let’s talk about marketing. What are some of the high-level and most interesting observations that you’re seeing happening within the PPC space today? Paul: Ok, that’s a good question. So PPC… let’s define that – ‘pay per click’. That is the world we live in. Generally, all of the buying that we’re doing is bidded on some level. The direct buys we do and deal with display is on flat-rate at times. Secondary – very important, but still secondary – fortunately, three years ago, we had this sort of vision to see that coming and we built up a paid social team, which is now contributing a large portion of our revenue – more than I sort of anticipated – and is continuing to grow. Now, today, or literally fourteen days ago, we hired a person to run our Amazon marketing services department. That, to me, feels like what paid social felt like three years ago. Ander: So that space is going to grow quite a bit. Paul: I think it’s going to grow quite a bit. For me… I keep talking about when we dove into paid social but there was a week where honestly three of my clients called and said, ‘What are we going to do about this paid social thing?’ And I thought to myself, ‘Alright, there’s the sign. I need to hire into this and lean into it and learn it.’ It’s a different skill set than paid search and we did that. It was a month ago when probably four of my clients said, ‘Can you help us figure out this Amazon paid thing because it’s a black box, it’s a little mysterious.’ And I said, ‘Guys, we’ve got to hire into this.’ And we did. Ander: Paul, we had a short but very interesting exchange over email. I asked you about AdWords, about the spend that is going towards what is I believe to be still the biggest digital advertising platform in terms of revenue that is being generated. Ander: Google last year did about… was it $80 billion in revenue? Paul: It was big, big numbers, yes. Ander: Yes. So, I asked you about that and you said that AdWords spend is shifting. It’s moving into other things. But we’re still seeing the numbers go up at Google with the revenue that they’re generating with their bread and butter product. Paul: Yes. Yeah, so I have to be clear here and sort of tread cautiously. Paul: Google is crucial to our success. Paul: And to all of our clients’ success. I guess what I’m feeling and seeing through budget allocation, the conversations we’re having with our clients and when I talk with other people in the industry, it just feels like they are certainly no longer the only game in town and they are beginning to seed budget and priority to other forms of marketing, which is paid social and I think Amazon, as well. Ander: And the digital advertising space is growing in its entirety, so the numbers that Google is seeing, all those numbers that are going up. All of the other companies are also generating much more money as well. Paul: Rising tide raises all boats. Ander: Right. It’s very intent-focused. Paul: It’s very intent-focused. In paid social and why we’ve learned so far into it and why budgets are headed that way is this… I always picture a day – maybe it’s three years ago, maybe four years ago – when Zuckerberg grabbed all his top execs and said, ‘Hey guys, make advertising work.’ I know there were conversations but it felt very specific and then all of a sudden, the targeting became so amazing and so precise and so massive – their network is so massive – that the advertising went from, ‘You know, we feel like we should probably be on there because it’s cool,’ to ‘Wow, this is really working.’ However, it’s still not as intent-driven as Google is so the return on ad spend is generally less than that of Google. However – and this is sort of the key point and I learned this… this surprised me early on in my days of buying Google AdWords – it is finite, right? Paul: Google is finite. There’s only so many people raising their hand and saying, ‘I want to find a date tonight,’ or, ‘I need a hotel in Las Vegas tonight.’ So if you’re a marketer and someone above you is saying, ‘Congratulations, you’re hitting your return on ad spend goals, but this thing has to grow,’ which 99% of marketers are feeling that pressure, you can only go so far in Google. And I think that is why with Facebook’s real improvement in targeting their ever-growing network. They’re becoming logical, almost go-to, because people are realizing that’s where the scale is. Ander: And that’s also where the opportunities for personalization are just tremendous. They’re completely through the roof. And that’s something that we talk a lot about at Instapage, is creating personalized advertising experiences. Ander: Our philosophy is that every campaign needs its own post-click landing page. Ander: Or every ad group. Or to whatever degree you are able to do that with your team or the agency you’re working with or whatever. What are some of the observations that you’ve made or challenges that you’ve seen marketers experience with regards to personalization? Paul: Well, it’s an interesting topic. I mean, I agree with you, Ander. If given all the time and all the resources, there should be a different post-click landing page for every ad, every keyword, every ad copy that you deliver. Well, I think the challenge there on sort of the highest level the end-users may say, ‘How did I land here? Where am I? Why am I being asked to give my name and my address and my personal information?’ So you have to be careful of over-personalizing and assuming that the user knows what you’re hoping them to do. We’re always running specific post-click landing page tests versus simply the homepage. And you’d think you could stop running that test eventually because, you know, we have so many clients and have spent so much money that we could say, ‘Look, the post-click landing page always wins.’ But it simply doesn’t. So I think over-personalization is the challenge. Ander: So how do you know when to stop, then? Because a lot of marketers are looking to personalization and they want to have that very, very customized, perfect-fit experience for the person who is seeing the ad, clicking on the ad, coming to the post-click landing page, etc. But as you said, over-personalizing does have its dangers. And I would certainly agree with that. So what’s the point where you stop? Paul: Well, you don’t stop. Ever. What you have to do is employ an intelligent A/B testing process between post-click landing page and homepage, find the winner, and then continue to challenge the champion at all times. And, you know, gauge your desire to move through that testing and iteration process and always finding the next champion, or at least always challenging the current champion. Gauge that desire versus the speed at which you want to move and you can just allocate your budget accordingly. I would say never stop testing. I’ll show my age here with the Classmates advertising, you know, a thousand years ago where they had this one ad, it was actually a picture of three employees of Classmates that said, ‘Were you a member of this class?’ or something and they simply could not beat that ad. And they spent millions and millions of dollars trying to test against it to find something that could beat it. So the idea being just never stop because eventually you will, and I think eventually they did as well. Now, being at Instapage, one of the things that I tell people as kind of a joke (but it’s true) is I am a marketer who works at a marketing company marketing a marketing tool to other marketers. Haha. Paul: Haha. I think I followed you down that hole. Ander: Yeah! And an interesting story is also how agencies are acquiring their own customers. Ander: How does Add3 do that? How do you guys approach your own customer acquisition? I subconsciously thought about this. It’s a tricky one. I’ll be honest with you. It really is a tricky one. There’s the adage of the cobbler with the bad shoes, in that I think we simply don’t spend enough time marketing ourselves because we’re so busy marketing our clients. And that’s what we have had success with and, on some level, relied on. The challenge with that is it’s not predictable and it’s not massively scalable. You know – knock on wood wood – it has worked and it continues to grow. It’s just not a plan, essentially. Paul: We’ll buy some Google AdWords. And, I’m a big believer in SEO, so we have SEO’d our site for queries that we believe we should rank for and can provide great services for. We employ SEO for ourselves and have essentially dipped our toe into any form of marketing that exists. But I would say, at this point – it’s almost embarrassing – our paid budget for Add3 is probably sub $1,000 a month right now. Ander: So referrals are a huge part of everything. Paul: Referrals are it for us right now.Which just makes me nervous as I say it out loud. Now, Google and SEO and the changes that are going on over there are fascinating as well. Rand Fishkin did a talk at the Seattle Interactive Conference about SEO in 2018 and beyond. Paul: What did he say? Ander: One thing that he said which was very interesting is that Google is becoming a suggestion engine. People are typing things in. They might not even know necessarily what they’re looking for. Ander: And it’s filling out the query or giving you the suggestions for things that you could be looking for. Ander: Another thing he said that I found fascinating is that a lot of Google searches are actually not resulting in clicks, necessarily. There’s a lot of people who are finding results that they need just by seeing what’s on the search page. Paul: And then typing direct…? Is that what he’s suggesting? Ander: Right. The thing is that I’m not sure that it’s a good thing for Google, either. Ander: Yeah, because they want to get paid too. Paul: So that falls in line, what you’re saying about Google perhaps penalizing themselves by not driving clicks, it falls in line with their, sort of, higher-level approach which is just be really useful to the user and it will all work out. Ander: Yeah. And this is why social is also probably blowing up in such a powerful way. Paul: Social is blowing up in a powerful way. Yeah, SEO is really interesting. I mean, we have planned that funeral year after year and it never dies. Paul: I don’t think it ever will die. It just morphs and on some level – or, actually, on almost every level – it’s more confusing and more simple at the same time. Ten years ago you could just put up a bunch of text at the bottom in the footer and sort of trick Google. Paul: Google is so smart right now that you essentially can’t trick them, yet you can’t just do nothing at the same time. So what’s the balance? In general, we take the approach that it boils down to two things: you have to architect your site properly – you simply can’t send them the wrong signal. They need to know who you are and what you are the expert in. And that is often an architecture piece. From there it’s simply content, you know? That’s what we’re doing right now. Ander: Exactly. Another thing that Rand said which is interesting – and something that I think about a lot – is the voice search and the implications that might have with SEO and AdWords and everything else. Paul: I mean, I’m doing it. I’m doing it. Paul: I don’t know what to do about it and how to react accordingly! Ander: That’s the thing! No one does. That is, in my mind, one of the more fascinating problems that a lot of us marketers are going to be finding solutions for in the coming future. Paul: Yeah. I mean, what’s interesting is often there’s a clumsy solution introduced which I would think would be something like, ‘Here’s your answer, but wait before we send you a five-second Geico audio commercial,’ right? Paul: And that’s just not going to work. But with every transition, they’re thinking of a way to monetize it in the best way. So there has to be some way to monetize it. I can’t imagine them allowing people to pay to have their results show up for voice queries but we’ll see. Ander: Yeah, we will see. It’s going to be really interesting to see and hear how that all shakes out. And honestly, with so many changes that are going on in the marketing technology landscape and digital advertising, that’s why there are agencies and companies like Add3 to, you know, figure out how we’re going to address these problems. Ander: Right. And you guys do a very, very good job of staying on top of it, if I do say so myself. Ander: I really love the content that you guys are putting out there. Here’s a question that I’d also like to explore a bit. So Facebook… obviously the dominant social advertising platform. That’s where a lot of money is going. It works and the targeting is really good, but there are all of these other social networks that are also launching ad platforms. Quora is one example. And we actually see, at Instapage, that organic Quora traffic is very, very valuable. Paul: Hmm. I believe it. Ander: Yeah. And it makes perfect sense. Are there any other platforms that come to mind that you think are fascinating that are launching these abilities to advertise on them? Paul: You know, I’m almost embarrassed to say that other networks are not popping into my head. And I think the reason for that is it’s not that I’m not constantly reading every blog and every adage and GeekWire and seeing what’s coming up. We still are beholden to volume on some level. Paul: And it’s hard to rationalize committing a lot of time and resources and pixeling and setting up reports to channels that won’t drive at least 10% of the volume of an ad spend. And so we’re not, probably, testing as well as we should be on a lot of those pieces. Ander: Now, I mean, that said, you’ve got to do what works – especially as an agency. Paul: You have to do what works! You have to do what works and, you know, you see so many articles about the Frightful Five. There really is something to that. You know, we could spend 95% of our budget on Google and Facebook – Facebook owing Instagram as well. Paul: And probably crush it and do just fine. Paul: So we have to be finding the next Quoras or diving into those things. I’ll just make a mental note to keep finding them. Ander: Yeah, for sure. And it’s going to be interesting to see how those things shake out as well. Paul: I will say this, one thing that your question made me think of is Snap and Snapchat and where that will go and when it will become a true advertising player. It’s not in our world yet. We haven’t been able to make the math work. Ander: Yeah, I see Snapchat as something’s that far more, right now, anyway, geared towards Fortune 50 companies. Ander: Major, major media presence. And something has changed there and it may be the number of advertisers that are in or the targeting that they’ve added. But somehow, price has come down a bit and targeting has improved that LinkedIn is now pencilling for us, which is really nice. So, it’s nothing new. Nobody’s going to be surprised that we’re spending money there but it’s working a lot better than it had been. Ander: Awesome. Now, we are running out of time and there’s one thing that I definitely want to hear from you. It’s my favorite question to ask people. Normally I ask the guests who come on the show where marketing is headed. We’ve talked a little bit about that. But, I’d like to actually pivot that question for this conversation. Instead, I’m curious what you’re most excited about for what’s coming next. Paul: What am I excited about for what’s coming next? I’m excited to watch the battle that’s going to happen – and is already happening and continues to expand – between Google and Facebook and Amazon, and see who, not necessarily comes out the winner there, but who begins to steal or take the lion’s share of the advertising dollars. Paul: You know, involving Gmail. And it already has been sort of shrinking down. Paul: It feels like we may be at the far end of a pendulum swing in terms of personalization, and it may be coming back. Ander: Interesting. Marketing is cyclical in nature. Ander: Especially how everything changes. Paul: Yeah, it changes. And then the question is: how do we all react if some of these highly personalized tools are maybe taken away or more generalized? How can we react and continue to hit the results that we and our clients have become accustomed to? Watching what happens there will be really interesting. Ander: It certainly will. And there actually is one final question, which is arguably the most important one. If any of us listening want to work with you guys, how do we look you up? Paul: Oh, that’s easy! And thank you for asking! Paul: Email me – Paul@add3.com. It’s that simple. Have a look at our website – add3.com – and reach out. If you ever find yourself thinking, ‘Man, I wish we could be driving more sales or more customers at a lower price – or at a higher volume,’ come say hello! Ander: And, again, the content you are producing out there is fantastic! So I really am looking forward to seeing how you guys continue to grow. Paul: It’s nice of you to say and I would like to thank you for having me on again. I enjoy the show. You guys do great stuff. Ander: Awesome. Thank you so much, Paul. It’s been a pleasure.